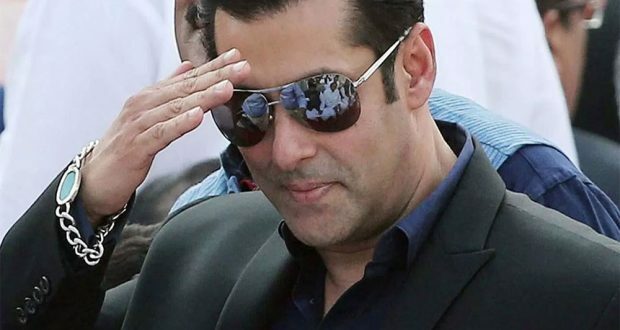 MUMBAI:5/12/18:Bollywood superstar Salman Khan has now become the richest Indian celebrity, according to the 2018 Forbes India Celebrity 100 list.The Race 3 actor has topped in the list for the third consecutive year. Others on the list include cricketer Virat Kohli, Akshay Kumar, and actress Deepika PadukonThe actor’s earnings are pegged at Rs 253.25 crore. Salman, maintained the top spot with help of releases in 2017 and 2018 like “Tiger Zinda Hai” and “Race 3”. His earnings were backed by endorsements of several consumer-facing brands, and constitute 8.06 percent of the total earnings — Rs 3,140.25 crore — of the top 100 celebrities for the year, read a statement from Forbes. A statement disclosed The 2018 Forbes India Celebrity 100 List rankings are based on estimates of entertainment-related earnings of celebrities. The period under consideration is October 1, 2017 to September 30, 2018.Other chnages in the list include, Indian cricket captain Virat Kohli who jumped one spot to the second rank, while Shah Rukh Khan with mo releases in 2017 dropped down to the 13th rank.